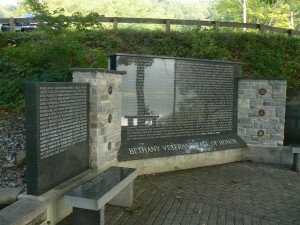 Bethany honors its veterans with a Wall of Honor in a local park as well as a monument outside Town Hall. The Wall of Honor stands in a small plaza near the entrance to Veterans Memorial Park on Beacon Road (Route 42). 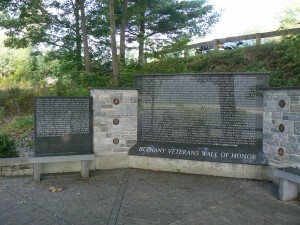 The polished granite panels list 145 names of local veterans. 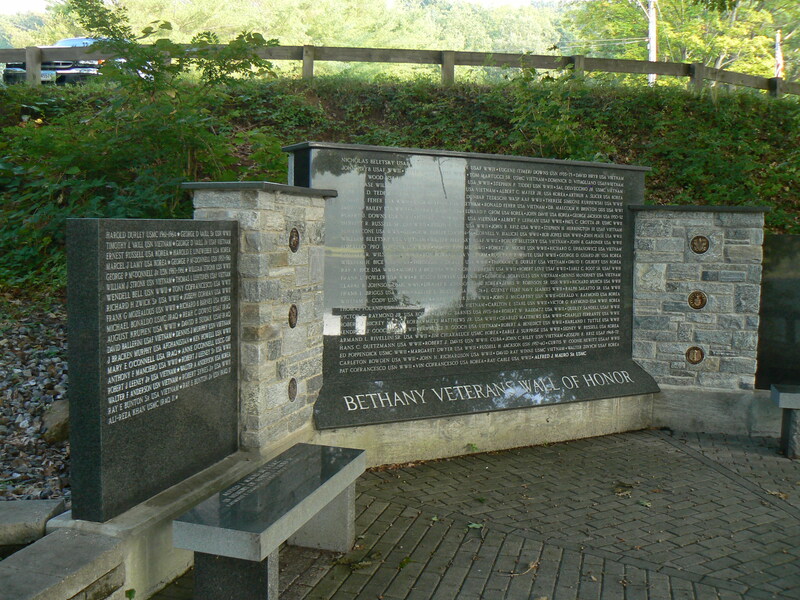 The monument, which overlooks the park’s Hockanum Lake, also features bronze service emblems and stone benches that invite quiet reflection. 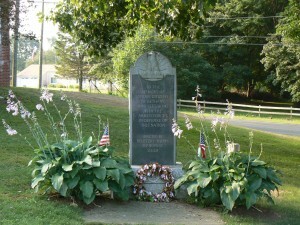 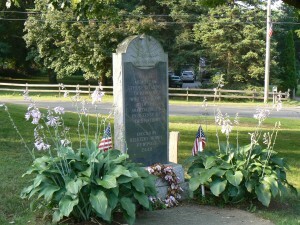 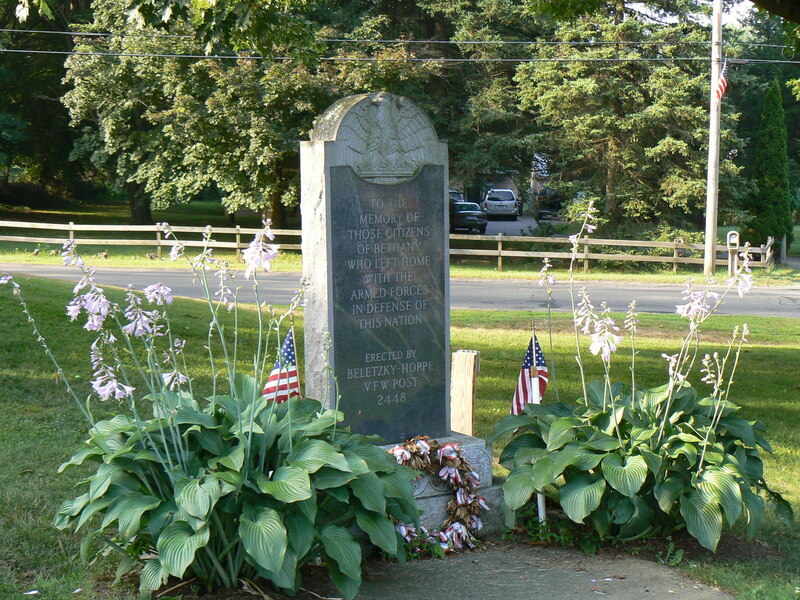 The Town Hall monument was carved by local sculptor Peter Horbick, a World War II veteran listed on the Wall of Honor. 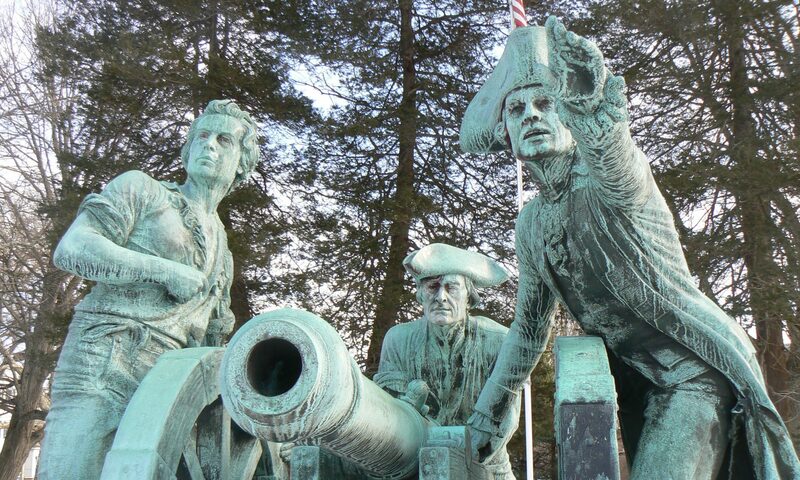 His other works include a monument to Quinnipiac Indians in New Haven’s Fort Wooster Park.